Eritrea’s foreign minister on Saturday called for sanctions against his country to be lifted as a result of the peace deal with Ethiopia and demanded compensation for the economic hardship. Two months after the peace deal was signed, the UN Security Council has not moved to lift the arms embargo and targeted sanctions imposed on Eritrea in 2009 for its alleged support to armed groups in Somalia, which Asmara denies. 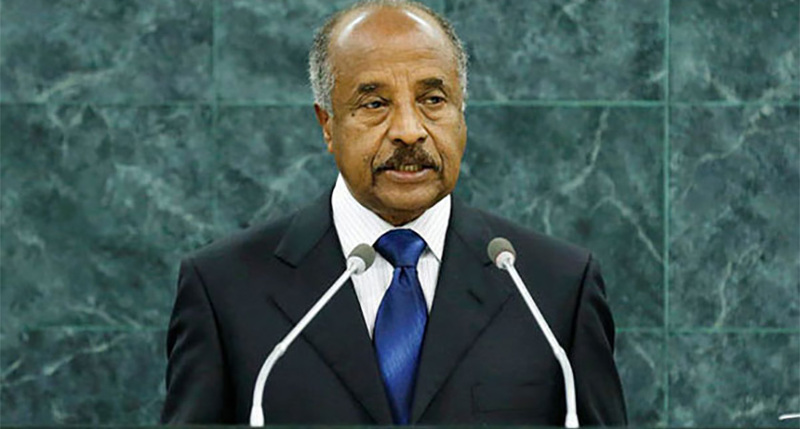 “The sanctions imposed on Eritrea for the last nine years have entailed considerable economic damage to the country and unnecessary hardships on its people,” Foreign Minister Osman Mohammed Saleh told the UN General Assembly. Eritreans “are not only calling for the imminent rescinding of sanctions, they are asking and deserve amends for the damage incurred and opportunities forfeited,” he added. A turnaround began in June when Abiy announced that Ethiopia would hand back to Eritrea disputed areas including the flashpoint town of Badme where the first shots of the border war were fired. Addressing the world body, the Eritrean foreign minister said the peace deal would now allow both countries to channel their resources into much-needed economic development. Slamming the “unwarranted sanctions,” Saleh accused countries at the Security Council of resorting to procedural measures to block lifting sanctions. He did not name the countries but diplomats said the United States, backed by Britain and France, wanted Eritrea to show progress on human rights as a condition for ending sanctions. Human rights groups say Eritrea’s record on free speech and press freedom ranks among [allegedely] one of the worst in the world. In his address to the assembly on Thursday, Ethiopia’s Foreign Minister Workneh Gebeyehu also called on the Security Council to “now seriously” consider lifting sanctions on Eritrea. The Security Council is due to review sanctions on Eritrea in November.